The Nissan Versa sedan was redesigned in 2012. 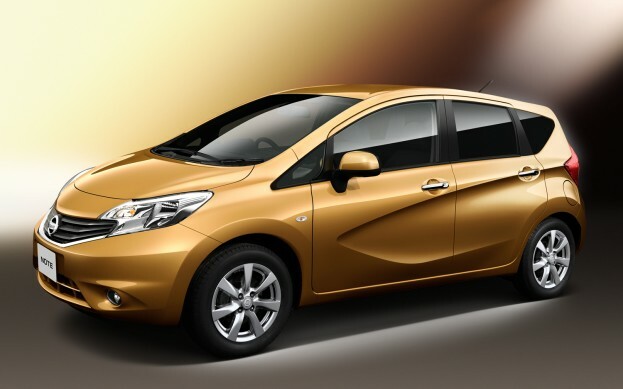 Now, for 2014, Nissan is redoing the hatchback, and it'll be very similar to the Japanese and European Nissan Note. In fact, it'll be called the Nissan Versa Note. There's really not much info about powertrain, etc. yet, but stay tuned. From the looks of that rear door, passenger legroom back there is toing to be non-existent. I just test drove a Focus ST, same problem. So is this a replacement for the Versa hatchback or a separate model? Everything I've read says this is is to be considerably smaller than the current Versa hatch. So are they axing the "big" hatch or are they actually moving the Versa up a class (LOL) and putting this down at the bottom? Or better yet, this could be one of those superminis where you get less and pay a lot more for it. But after seeing the interior I'm inclined to believe this is going to be a very cheap car. It will probably be as cheap as, if not cheaper than, the current Versa sedan. There isn't much info out on it now. I have read that it is smaller than the current Versa hatch. I presume this will replace the Versa hatch, but I could be wrong. I can't imagine seeing the original Versa into 2014, frankly—especially since the redesigned Versa sedan debuted in 2012. More info soon hopefully.